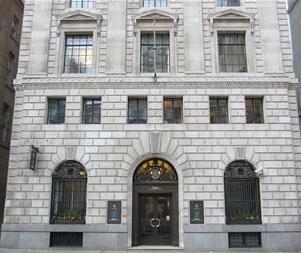 London-based Persia International Bank is replacing its legacy trade finance system, supplied by Surecomp. The new system is Eximbills, provided by Surecomp’s rival, China Systems. Surecomp’s product, IBSNet, has been running at the bank’s London and Dubai locations for over 15 years. It is integrated with the bank’s long-standing core banking platform, Misys’ Bankmaster. It is not known at present whether the bank is looking for a replacement, but Banking Technology expects that this will happen in the next couple of years, as Bankmaster is an outdated system, sunsetted by the vendor a while back. Misys also has a trade finance system, FusionBanking Trade Innovation, which is a major competitor of Surecomp’s and China Systems’ offerings. 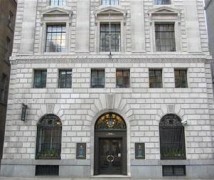 However, it would seem that it was not of interest to Persia International Bank. Persia International Bank is co-owned by two Iranian financial services groups, Bank Mellat and Bank Tejarat. Seven European banks – Deutsche Bank, HSBC, Natixis, KBC, Rabobank, Société Générale and UniCredit – have agreed in principle to develop a blockchain-based shared platform for domestic and international commerce for SMEs. Financial institutions and technology companies have tinkered with trade finance for years, but progress has been slow. Despite automation advances in many areas of financial services, trade finance remains a largely paper-based, manual process. But it could be one area where blockchain technology will be successfully applied. Amsterdam Trade Bank (ATB) has signed for CargoDocs DocPrep+ from specialist trade finance solutions provider essDOCS. London-based Persia International Bank, a joint venture of two Iranian financial services groups, Bank Mellat and Bank Tejarat, is undergoing a tech revamp. Technology will contribute to the development of the supply chain finance market, with the growth of e-invoicing systems seen as a significant market accelerator by the majority of the banking community.